On August 12 Thornton Rust – one of the smallest villages in Yorkshire – will stage its 35th country show. It might even be the smallest country show in Yorkshire, or even England. 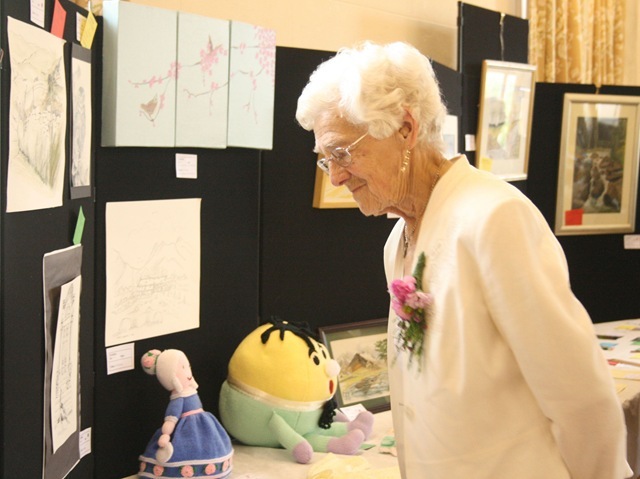 There are always memorable floral arrangements (especially the miniatures); fascinating entries in the children’s and crafts sections; a mouth- watering display of baked cakes, flans, breads and preserves; and the produce from various gardens. The show was started by Ron Jones and his wife, Chris. They got the idea from Rufforth where they lived before moving to Thornton Rust and Ron saw the show as a way of drawing the community together. The potato competition, and the spud raising ceremony that preceded it, hasn’t been held for several years but they still have one for the longest stalk of rhubarb. The prize money hasn’t changed since the show started in 1983: 20p for coming first in a class; 15p for being second; and the princely sum of 10p for coming third. But most people don’t collect their prize money. Instead it is left in the kitty.In 2008 the proceeds of the show, about £500, went towards the cost of replacing the roof of the village institute. There are trophies, however, for those gaining the highest number of points in various categories. The first trophies were presented in 1986, including that from Fred Thwaites for the resident obtaining the highest number of points overall. Below right: Fred at the 2015 show. After the trophies have been presented the auction of produce begins, which is always a fun event. These days the auctioneer is Alwyn Spence. He took over from Tot Dinsdale in 2005. Tot died just four days after the show in 2012. 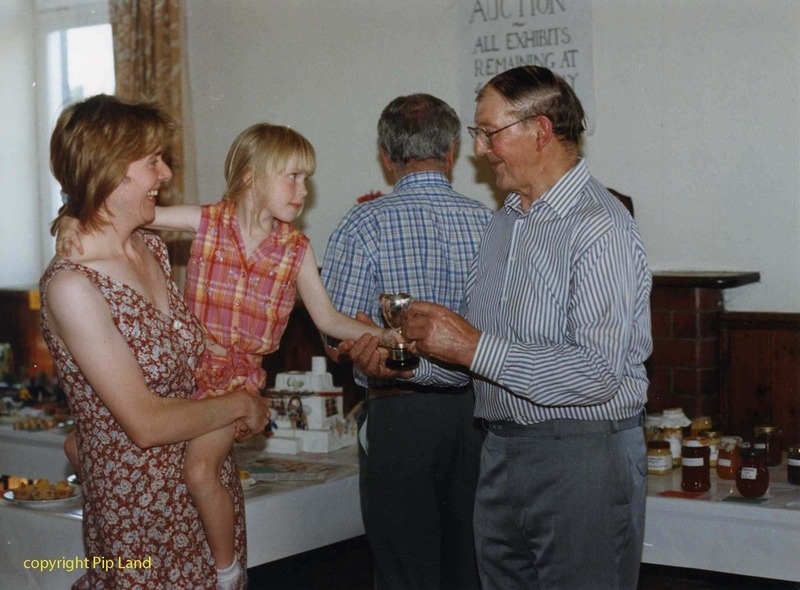 Below: Tot presenting a trophy to Charlotte Mudd in 1997. 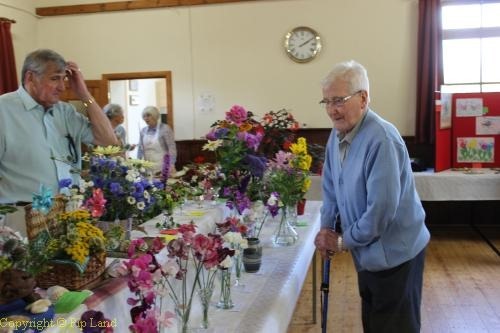 Hello Pip, How nice to see your web site and reading about Thornton Rust Country Show. I went to school with Fred Thwaites and probably with Eleanor Scarr. I was born in Bainbridge in 1929 and left for National Service in 1947 and never really returned! I remember the Durham boys (their father was the road man in Bainbridge), and several girls coming to Bainbridge school on the bus or walking (!) when the busses were not running. My memory is a bit faded, but once you start thinking about those halcyon days names keep coming back.